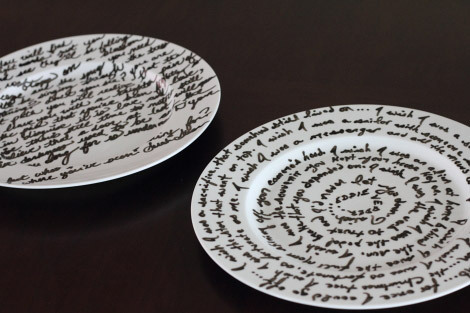 One of my favorite design trends is calligraphy and handwriting on ceramic pieces. On a mission to create my own pieces I rounded up my materials. Inexpensive white porcelain plates available at any store that sells plates. I was able to purchase mine for $1.29 each. 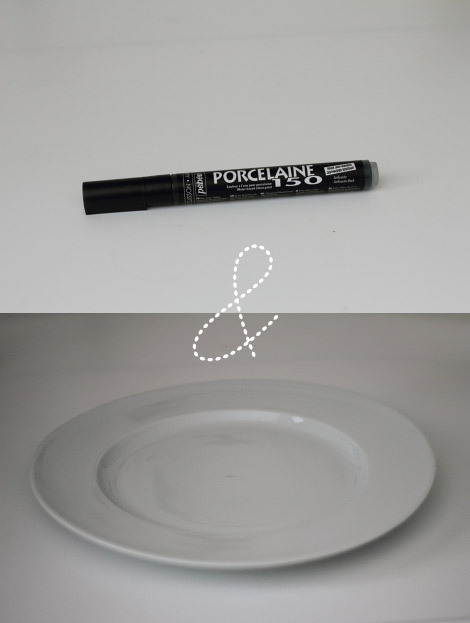 Wash and dry the porcelain plates to remove any grease. Shake the paint pen well. Press tip repeatedly to start ink flow. Tip: Experiment with the pen before using. But don't worry the paint is removable if you make a mistake. 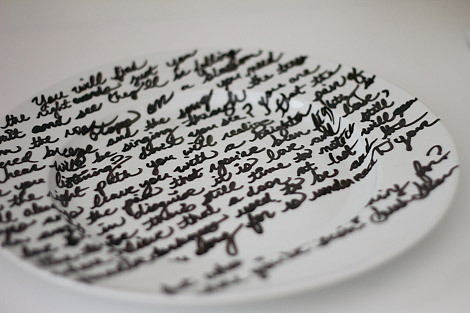 Apply pen to porcelain plate. To ensure you are writing straight use removable tape to align your writing. After you are happy with your design allow it to dry for 24 hours. Bake plate in oven for 35 minutes at 150C (300F). The great thing about designing your plates yourself is you can include personal elements. For me I included my favorite lyrics. 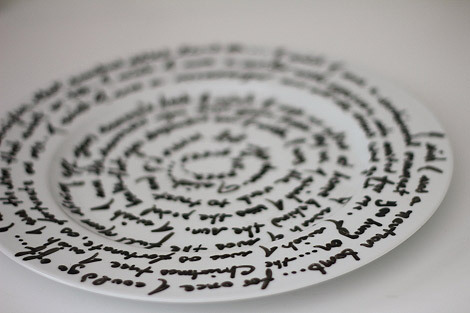 It looked so great that Daniel even created his own plate with personal lyrics. You could always take this project further and create custom plates with names, illustration, or special occasion designs. Not quite orange, not quite red describes Pantone's selected Color of the Year for 2012. Tangerine Tango boasts an orange with a lot of depth to it. A mix of exotic, energetic, warmth, and friendliness, the reddish orange provides an attention grabbing hue. Expect to see the vivid shade popping up in fashion, cosmetics, and home decor. Designers seem to appreciate this year's choice. Orange has become popular as a color staple. 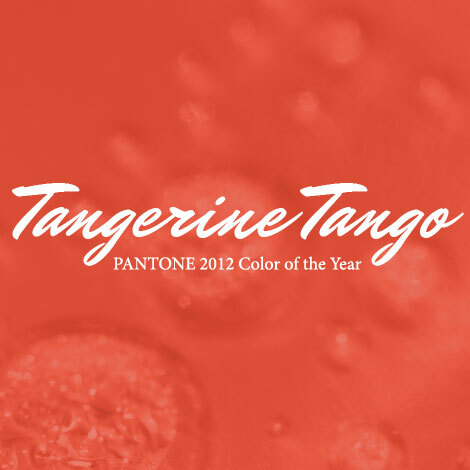 Tangerine replaces Honeysuckle from 2011, Turquoise from 2010, Mimosa from 2009, Blue Iris from 2008, and Chili Pepper from 2007 since the inception of "Color of the Year". The last couple of months have been a blur. As a result, I have not updated my blog... Over the last three weeks I have been working on an exciting new freelance design opportunity which I am hoping to share very soon. It involves my favorite - dessert! 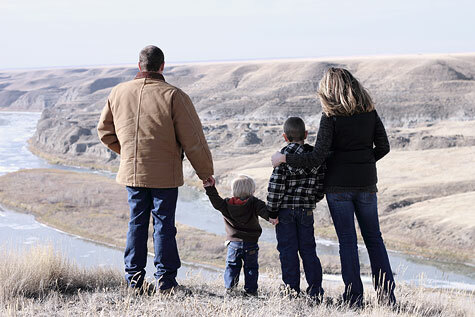 Last month I went out to my sister's place to take her annual family photos (this is becoming a new tradition). The day was bright and frosty - making for good camera lighting. 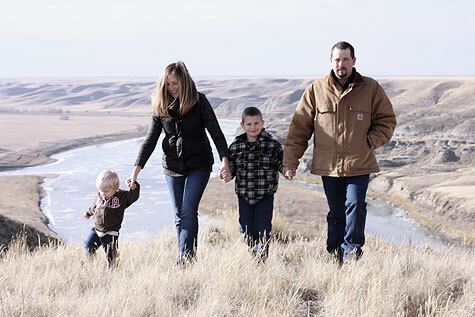 My challenge - photographing the group with a 2 year old that did not have his afternoon nap! I now have a special appreciation for professional photographers who specialize in baby and children portraits. Nevertheless, it was a great day, and my sister has a few shots to use with her 2011 Christmas cards. Here are two of my favorite shots.